Cairo University (CU) is number one in Africa according to the QS World University Ranking. Therefore, many students from African countries want to study (both under- and post-grad) at CU. Most of those students, if not all of them, are non-Arabic speakers. The number of those students is increasing every year. The main objective of our project is to produce an open Arabic course to help students getting around in CU campus and manage their stay in Egypt. We believe that this open Arabic course will have a great impact on non-Arabic speaker-students especially in their first semester at Egyptian Universities. Our course is available at the above link. It is divided into four main areas: Main Location, Main Phrases and Words, Phonetics, and Arabic lessons. The main location shows the signs in Arabic used at the CU campus and its translation into English. The Main Phrases and Words show common used Arabic phrases and words along with its translation in English. Each word and/or phrase is available with a sound recording to let learners practice on pronunciation in Arabic. Phonetics section is focusing on more practice on the pronunciation in Arabic. The last section provides some basic Arabic lessons. We selected few students to voluntarily evaluation our open Arabic course. The main feedback was to add more words and phrases with sound. We already added most of them and will add more and more. 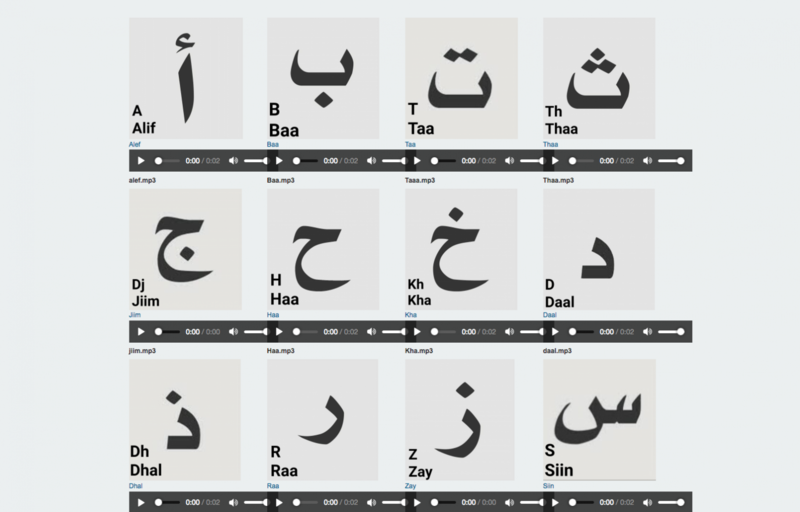 Non-Arabic speaker students will have a simpler way to learn Arabic. Learning the language makes students living in the society more comfortable focusing on their education with minimal hassles. Therefore, the above results will definitely enhance directly Arabic classes teaching and indirectly other classes as well. Our course is available at the above link. It is a temporary link. The content has to be reviewed by the CU before merging this link with the CU main homepage. Non-Arabic speaker students do not need to be in a classroom to learn the language. An open course is an accessible tool to learn the Arabic language. The challenge was to figure out what are the needs of those students. We collected some information/requirements from some of the Non-Arabic speaker students. Therefore, we took real pictures of the main signs of the CU campus and translated them into English along with Arabic pronunciation. Moreover, we used the Egyptian dialect in our sound recording of words and phrases. One of the main lessons learnt is using the Egyptian dialect instead of perfect Arabic one to be practical and understandable in Egypt. Ayman M. Eldeib, Ph.D. is a senior IEEE member and a professor at Systems and Biomedical Engineering Department, Faculty of Engineering, Cairo University, Egypt. In OpenMed course, I was to be the super facilitator, who is in charge of helping other facilitators to achieve the course objectives. My main tasks are coordination with other facilitators, helps them in supporting their learning circle in terms of course content (answering doubts and questions on modules and on the course activities), and processes (supporting timely delivery of activities, sending reminders, etc.). Technical support with the course platform is one of the super facilitator’s tasks with the support of Universidad International De La Rioja (UNIR). This work by Ayat Aamer, Walid Alatabany, and Ayman Eldeib is licensed under a Creative Commons Attribution-NonCommercial-ShareAlike 4.0 International License.